Below this post is a tutorial on the PM or Private Message feature found on barthmobile.com. Because of the dark yellow background, I have put the tutorial in the next post for ease of reading and seeing the yellow stoplights images. I've had several instances of people questioning the PMs feature and how it is supposed to work. 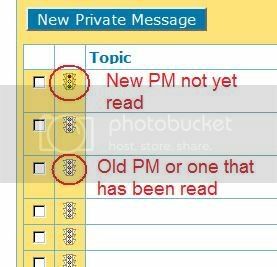 If you have a NEW PM, one that is waiting for you to read, you will see this icon and it will show up on every forum page. If you do not see this, then you only have OLD PMs that you have already read. 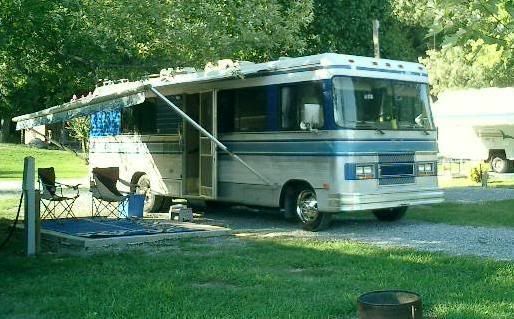 To read your new PM you would need to click on the above picture of the multicolored Barth RV. Once there you will be presented with a few PM choices. If you see this icon. That tells you that you have a NEW, UNREAD message that you would need to read. If you see this icon. This means that you have already read this PM. PMs that have and have not been read. Keep in mind that the PM feature is not a personal storage space, because of system resource issues your PMs will be deleted within 91 days of the last time any activity took place. Lets say I sent you a PM and you read it and waited 10 weeks to respond back to me. Then I responded and sent it back to you 3 weeks later. After 91 days from the last time there was activity, it would be deleted. As long as there is activity, it will stick around. I recommend that you set your personal preference to forward the PMs to your emails account. But, this is where the problems start if you're not familiar with the features of the PM. If the email is forwarded to you from Barthmobile, and you only read the email, that will not get rid of the new icons you see above. Please note, if you read your email, you will notice that the sender is bill_ny barthmobile If you just click, "Reply To This Email" and type back your response as an email reply, I will get it instead of the person who sent you the PM in the first place. I can not read anyone's PMs, what is said there is PRIVATE - if you click "Reply To This Email" it will wind up in my email box and not to who you intended and then I can read it. Not private anymore. So, read the emails - reply back to the person within the PM on the barthmobile.com site and not as a reply to the email. This forum has a lot of neat features, some are easily understood, some are not. If you have any issues with the PM feature, let me know and I will help you with it. This is all VERY IMPORTANT if you are planning the over throw of the Barthmobile.com host. I have missed some PMs because they did not show up as an alert in my e-mail and did not trigger the striped bus on "NSLV". I just got a PM alert today in my e-mail, and did my normal thing and went to NSLV and found no PM stiped bus. When I clicked on "Forums", there was the striped bus. I don't know if that is the way it is supposed to be or just a quirk, but I hope no one thinks I was ignoring them. This thread was really helpful. I hope I can remember to just slow down... though this would be novel for me. I noticed myself recently thinking (as I was conducting a group with teenagers) "There they go. I must hasten after them, for I am their leader!" Hello, this is an automated response to either a PM Message, a Subscription to an Email Digest or because you have just registered on our site. 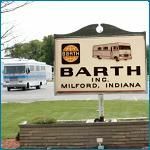 Then you have been resent your credentials for signing up to Barthmobile. Look at the bottom and you will see that this Email has your "Email Sign-On" and "Password" attached. Then you can read your digest here or click on the link to reply to that subscription. However, this could also be a forwarded PM (Private Message) that you need to respond to. Then you have a new PM Message or a response to an older PM Message. In all cases, you will notice, the return email address is bill_ny@barthmobile.com This is because the Barthmobile Servers forwarded this to you. 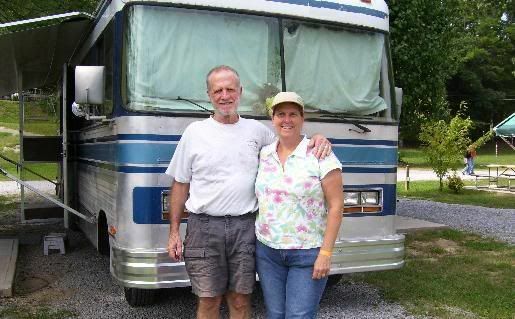 Please keep all correspondence for barthmobile via the PM feature or thru a Forum posts. Please, do not hit "Reply To This Email" as it will go unanswered. If you need additional help, type up a new email and in the subject line write: Help Needed. If someone has a better suggestions on the wording of this, I would like to hear your recommendations. The only reason that this is being done, is because I keep getting others peoples Private Messages. The only time that I could read your PMs were when you replied back to that forwarded email instead of responding to the PM. Your actions of clicking "Reply To This Email" sent me the original text and your follow up text. Even though you sent it to me, I feel very uncomfortable reading someones private thoughts. I am trying to set this up so it is better understood by everyone. Now, if you do make the same mistake, and send the message back to me, I can not read it. Without going into greater detail, lets just say that what I'm doing is trying to insure your privacy while at the same time would allow these messages to keep going out to you. Now, it will just give you a link to click. I hope this streamlines our PM feature. You can now plot the overthrow of your host. Against me better judgment I have re-initiated the "Full Text" forwarding feature on our site. If you are A NEW MEMBER, jump below and read this post, you MUST CLICK A LINK to be confirmed. Everyone else: "THIS IS AN AUTOMATED MESSAGE - PLEASE VISIT THE BARTHMOBILE FORUM TO REPLY". Do not hit "Reply to this email"
Good luck to those who keep responding to "AN AUTOMATED MESSAGE". How to contact JMF on this site ? Found no posts by "JFM"
Generally, you just click on the author, in left column, which opens options such as Invite To A Private Topic. Thanks, Rusty. Not am I dyslexic usually. Our church goes by "JFM" for Jackson Free Methodist. So, my eye/brain connection showed my age. If I send somebody an PM, and for whatever reason, they don't respond, and then I send them another PM by hitting the 'reply' feature, will they get the second PM? When I do this it always shows up in my own PM alerts since I have essentially replied to my own PM. So how do I get permission to PM? You should already have it. In a thread, click on the poster's name and an option is to send a PM. OK. Last time I tried to send a PM it said I needed permission. Maybe I was trying to look at someone's coach or profile. Dunno. Seems to work now.